If you are looking to explore Derbyshire, the Peak District, Chatsworth House, Haddon Hall, Bakewell, Baslow, Hassop Trail, Matlock or Chesterfield, you couldn't be more ideally located than at The Devonshire Arms. We don't class ourselves as a hotel or B&B. Whilst we offer a bed and breakfast service we like to think of our offer as ‘a pub with rooms’ to be a friendly and relaxed experience. We hope you’ll agree that your stay provides you with a ‘home away from home’ experience, whilst letting us look after you, of course! 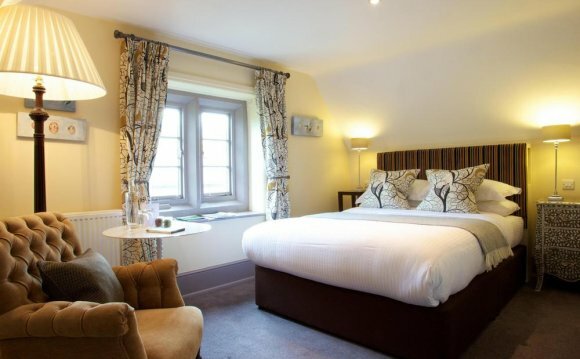 Our eleven ensuite bedrooms offer understated comfort and cosiness and complement the contemporary and stylish interior of the Devonshire Arms. In each room you will find a TV, hairdryer, complementary loose leaf tea and coffee, free WiFi and a bath with shower over. Our rates are per room, per night and include a full english breakfast (unless otherwise stated). VAT at 20% is also included in the price. We have 3 king size rooms, 1 single, 1 twin and 7 doubles available to book. All guests should check in at the bar of The Devonshire Arms. We do not take any money upfront on booking, but we do require credit card details to secure your reservation.